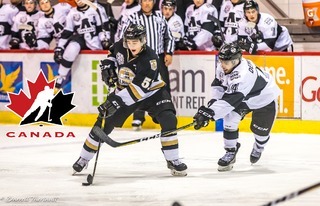 In a rematch of their epic 7-game playoff series last spring, the Charlottetown Islanders and Quebec Remparts will face-off for the first time this season. The last time these two teams met, now-former Islander Pascal Aquin had scored a hat trick in the third period to vault the Islanders in to the second round with a wild 8-3 victory in Game 7. 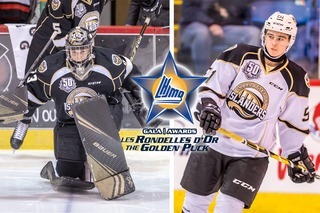 Since then, the Remparts have made a number of changes, most notably behind the bench. Former Colorado Avalanche coach and NHL Hall of Famer Patrick Roy has returned to Quebec as head coach and general manager, the same title he held from 2005-2006 to the 2012-2013 season. The former Memorial Cup winner brings years of experience back to the Remparts bench. Currently sitting tenth overall in the QMJHL standings, the Remparts (13-11-3-3) are coming off of a 4-3 overtime loss to the Saint John Sea Dogs last night, the first game of their Maritime road swing this week. They’re led in scoring by Swiss sensation Philipp Kurashev. The Chicago Blackhawks prospect has 17 goals and 42 points in 31 games, good for seventh overall in the league. 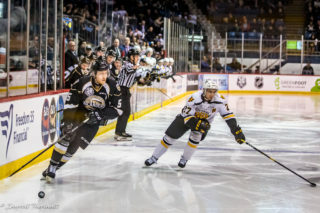 For Charlottetown (17-7-2-1), they’ll be back in action for the first time in six days following the postponement of last Sunday’s home game against Val D’Or. 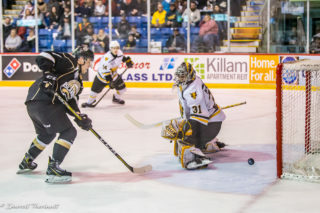 They’ll look to continue their hot streak at home, having not lost in regulation at the Eastlink Centre in nine straight games. 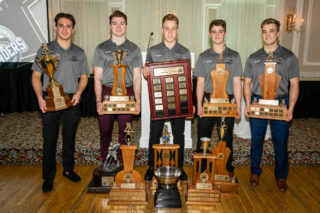 Daniel Hardie remains atop the leaderboard statistically for the Isles, with 31 points in 27 games. Derek Gentile is the hot hand for Charlottetown, with points in eight of his last nine games. He’s excited to face his former teammates for the first time this season. The team continues to be without defenseman Alexander Dersch, as he vies for a spot on Germany’s Under-20 World Junior team. Tonight is Student Night here at the Eastlink Centre, meaning students can take in tonight’s game for just $3! All 19+ beverages are also just $3! Tickets are available at the Eastlink Centre box office, by phone at 902-629-6625, or online at https://boxoffice.eastlinkcentrepei.com. We’ll see you tonight!